Herbal sleep aids have been used for centuries by people looking for a safe, gentle way to help them fall asleep. Sleep problems are extremely common and can affect all aspects of a person's life and even those around them, so getting the proper amount of sleep is extremely important. As a result, many people have turned to sleeping pills for help but this solution is not without its dangers. Most prescription sleeping pills have a range of side effects from dizziness to poor coordination to difficulty waking up. Often, those who take sleeping pills don't actually get a restful night's sleep and so they tend to drift off during the day, which can be dangerous. An herbal sleep aid can not only help you to get actual restful sleep, but most have no side effects whatsoever. The most serious side effect of prescription sleeping pills is the tendency for them to become addictive. It becomes far too easy to rely on taking a little pill in order to sleep and increasingly more difficult to wean yourself off of them once you've been taking them for a while. Again, herbal sleep aids do not have this effect so they are far safer. Fortunately, there are a number of natural products which can help you to get the deep, restful sleep that your body needs. The most common herbal sleep aid is Chamomile (Matricaria recutita). Usually taken in a tea, chamomile promotes calm and restfulness and can also be used to treat upset stomach. It is most effective when used occasionally but is gentle enough to be used on a daily basis in small doses. 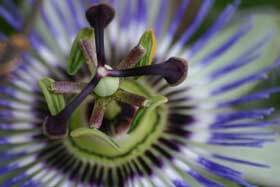 Passionflower (Passiflora) is one of the more popular herbal sleep aids and has long been used for it's medicinal properties. The leaves and roots of varieties such as Maypop (P. incarnata) and Maracujá (P. edulis), and many others, can be used to make teas or supplements which are used to treat insomnia and anxiety. Although passionflower is not reported to have any side effects, consult a physician if you are pregnant or its use is intended for a young child. Luna Sleep Aid - Herbal, Non-Habit Forming, Made with Valerian, Chamomile, Lemon Balm, Passionflower, Melatonin and More! Valerian root is another of the best known herbal sleep aids. It has a strong scent that can put some people off, but it can help to calm and soothe the nerves. By lulling you into a state of peacefulness, it promotes healthful sleep. It can have some mild side effects when take in large doses, so it is recommended that you use it in moderation. Lemon balm (Melissa officinalis) is a perrenial herb in the mint family. This is a versatile herb and is used as a mosquito repellent, flavoring in herbal teas, ice cream, candies and even toothpaste. Lemon balm also has antibacterial and antiviral properties but it is its calming effect that makes it a popular herbal sleep aid. Ashwagandha (Withania somnifera) is widely used as a herbal sleep remedy in the the Indian system of medicine known as Ayurveda. Its species name "somnifera" actually means "sleep-inducing" but it is used for many other reasons including sexual vitality and increasing resistance to stress, anxiety and fatigue. As such it has been compared to Ginseng for its rejuvinative properties. Kava (Piper methysticum) is one of the most interesting herbal sleep aids that has been taken for thousands of years. Extracts from the root are often mixed with water and have a sedative effect. However, Kava also acts to reduce social anxiety and has a numbing effect on the gums and throat. It is said to produce a deep dreamless restful sleep but is also reported to result in episodes of lighter sleep with vivid dreams. Reports of liver toxicity may be due to modern processesing that includes stems and leaves in supplements whereas traditionally only the root is used. 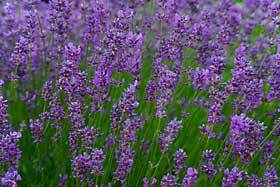 Lavender (Lavandula) is used as a herbal remedy for many ailments such as insect bites, headaches and skin burns and is also used as a herbal sleep remedy. Making an infusion of the flower heads taken at bedtime can help to get you to sleep. Flowers and seeds can also be added to your pillow for an added calming effect. However, lavender is not recommended for pregnant or nursing women or children as compounds in lavender and lavender oil extracts can result in genetic aberrations. It can also result in increased sensitivity to sunlight and some may have allergic reactions. There are several natural substances in our own bodies which work to stimulate proper sleep, among them melatonin. Any truly effective herbal sleep aid will contain this hormone which the body usually produces at night. For those who don't produce enough melatonin on their own, they can find a natural supplement which includes it and will help to restore a normal sleep cycle. Another natural sleep inducer, familiar to anyone who has fallen asleep on the couch after Thanksgiving dinner, is tryptophan. An amino acid, tryptophan is found in foods such as turkey and milk and actually works by encouraging your body to produce serotonin. A lack of serotonin can cause irritability and sleeplessness, so a supplement containing tryptophan can be one of the most effective herbal sleep aids as it can help maintain proper levels of serotonin. Lack of sleep can lead to the disruption of your entire daily routine and to overall poor health, but there are ways to prevent it. Don't let sleep problems take over your life, find a safe, gentle, herbal sleep remedy to help you relax and sleep well. You'll be looking and feeling better when you get a good night's rest the natural way.